Was Moses Ineloquent or "Mighty in Words"? We have been delighted with the success of previous summer camps conducted by Apologetics Press. Attended by hundreds of campers, these camps have offered the usual fun and games that go with summer camp (e.g., canoeing, swimming, crafts, sports, etc.). But more importantly, they h ave provided campers with activities and encounters that nurture the spiritual dimension of young people (e.g., devos, Bible studies, classes). 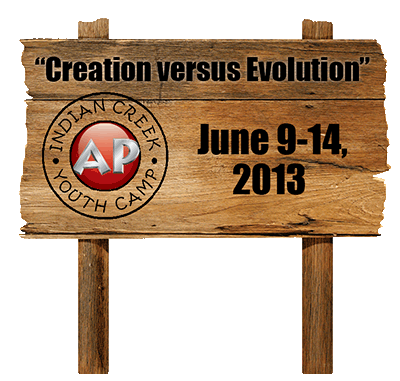 This year, campers will be treated to the life-transforming experience associated with studying “Creation versus Evolution.” Young people will be treated to the evidence that disproves evolution while demonstrating the truthfulness of the Genesis account of Creation. Imagine the positive impact on a child, surrounded by other like-minded young people, all of whom are provided with a positive environment that reinforces the Bible’s depiction of the origin of life and species on Earth. Here is a tremendous opportunity to strengthen your children or grandchildren in their spiritual growth, enhancing their prospects of remaining undefiled by the world’s atheistic, evolutionary propaganda. We have a limit of 215 campers for the week, so register soon. For more information, call our offices at 334-272-8558.